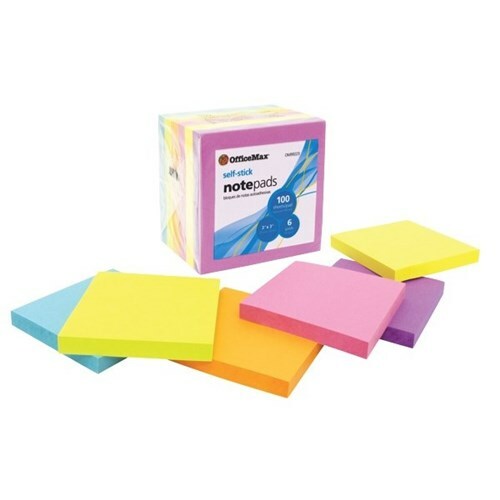 These bright coloured OfficeMax notes are great for reminders and for getting your message across. The adhesive backing allows you to reposition your notes so they can be used again and again. The adhesive wont leave behind any residue or mark paper and any other surfaces. Each pack comes with 6 pads with 100 sheets per pad in the bright colours purple, orange, yellow, light green, pink and blue.